Fact: Fibromyalgia has been described for centuries (See History of Fibromyalgia). But it wasn’t until 1981 that the first scientific study formally confirmed fibromyalgia symptoms and tender points in the body. Since then, researchers have further tested pain reactions in people with fibromyalgia. It's thought that overactive nerves cause the pain of fibromyalgia (see Science of Fibromyalgia). Although fibromyalgia is not just “in the head,” it is still important to understand that the condition is stressful—especially when it goes undiagnosed. Stress can also make fibromyalgia worse. 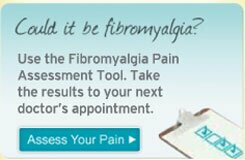 Myth: Doctors diagnose fibromyalgia when they can’t find a “real” diagnosis. Fact: It’s true that diagnosis of fibromyalgia often takes time. There is no specific lab test for it. Your doctor can't see it on an x-ray or do a blood test to confirm it. Instead, he or she relies on your symptoms and a physical exam. What’s more, the symptoms can overlap with symptoms of several other conditions. These other conditions must be tested for as well. But fibromyalgia is very much a real condition. In 1990, the American College of Rheumatology developed guidelines for diagnosing fibromyalgia. Today, these guidelines are widely applied. What’s more, there are now thousands of studies validating this form of chronic widespread pain. In 1990, there were only about 200 published studies on fibromyalgia. Today there are more than 4,000 published fibromyalgia studies.